Behind my decision to begin the Kydd series with a common seaman, rather than an officer, was my curiousity about (and admiration for) that tiny handful of men who crossed the great social divide in the eighteenth century from before the mast as a seaman to the quarterdeck as a king’s officer. In the bitter French wars at the end of the 18th century, there were, out of the hundreds of thousands of seamen in the Navy over that time, probably only 120, who by their own courage, resolution and brute tenacity made the awe inspiring journey to the quarterdeck. This meant of course that they changed from common folk to the gentry; each of these became a gentleman. And that was no mean thing in the 18th century. And of those 120, a total of 22 became captains of their own ship – and a miraculous 3 to Admiral! The introductory material to this substantial work, besides highlighting what the letters tell us about seamen’s lives and attitudes, also discusses the extent of literacy amongst seamen, setting this into its wider contemporary popular context. Letters of seamen below the rank of commissioned officer are rare, both in original form and in print. 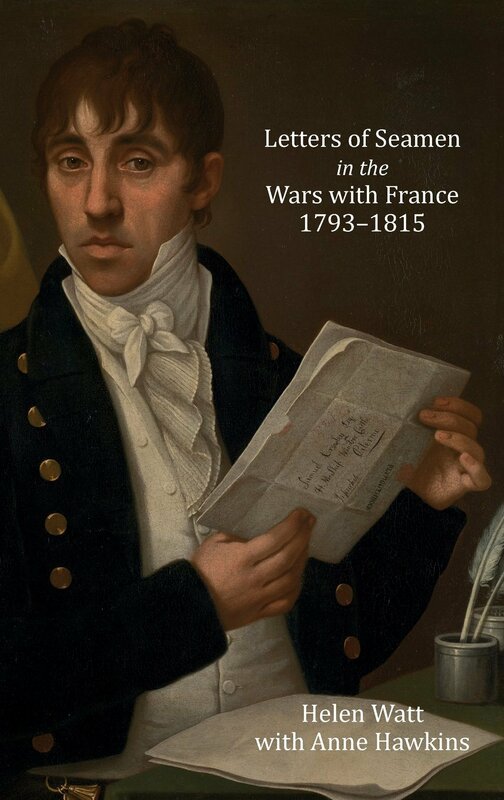 This edited (but not abridged) collection of hundreds of letters, written by seamen in the British Navy and their correspondents between 1793 and 1815, gives voice to a group of men whose lives and thoughts are otherwise mostly unknown. The letters are valuable for the insights which they give into aspects of life below decks and the subjects close to the writers’ hearts: money matters, ties with home and homesickness. They also provide eye-witness accounts of events during a tumultuous and important period of British and European history. The contextual presentation is invaluable in placing the writer at the centre of events that perhaps even he was unaware of at the time, and opens the reader’s eye to the true significance of what is being said. One large group of letters, included as a separate section, comprises the letters of seamen and their family and friends which were intercepted by the authorities during the mutinies of 1797. These letters shed light on the extraordinary events of that year and of seamen’s attitudes to the mutinies, which I felt I had to write about in my Kydd novel Mutiny. As would be expected in a book of this calibre there are extensive add-ons – two appendices, a bibliography and an index. Of particular interest to me was Appendix 1: Biographies. Each entry gives the rate of every seaman mentioned in the text and a brief overview of his career to provide insight into the service background of the letter. It is an expensive book, but as a scholarly reference work an invaluable addition to the resources available for all those interested in the human elements of maritime history. It is undoubtedly a monumental pillar of scholarship but behind the words laid out, emerges picture after picture of the warmth, yearnings and hopes of the often unlettered men who laboured by mess-deck glims to reach out to their loved ones in the midst of the titanic struggle of the war at sea. ← The Powder of Death MegaContest! Thanks again, Julian! Years ago, I knew a professor, Jesse Lemisch, who was researching American merchant seaman in the late 18th century. His research became an article called “Jack Tar in the Streets”, but the History Department of the University of Chicago insisted that (1) seamen were illiterate, and (2) history can only be written from letters and journals, and (3) only the middling and upper classes were literate enough to leave letters and journals, so, therefore, (4) Jesse could not be doing legitimate research and he did not deserve tenure. The department was a bunch of idiots. E.P. Thompson had just published “The Making of the English Working Class”, and Jesse later published “Jack Tar” as a book. Thompson published an essay on “rough music”, reprinted in his “Customs in Common”. When I heard cannon-balls rolling across the deck in “Mutiny”, I thought, Julian has recovered another piece of social history…deftly brought it to life.